﻿ Is Your Immune System Th1 or Th2 Dominant Or Both? Is Your Immune System Th1 or Th2 Dominant Or Both? Michelle discusses the idea that the human immune system rarely exhibits one dominant, Th1 or Th2, pathway over the other. Experts who agree with this hypothesis will say that anyone with an autoimmune “disease” is either Th1 or Th2 dominant. That means that if we are experiencing an autoimmune response, our T-helper cells are sending out signals, specifically cytokines or interleukins, which drive up the proliferation and activity of either too many T-cells, or too many B-cells. Some researchers theorize that the over-activation of either pathway can cause an autoimmune attack, and that the only way to fix the problem is to dampen the overactive pathway and boost the underactive pathway, to restore the balance between the two. This is why some practitioners will suggest that their patients with an autoimmune condition get a medical test called a cytokine panel to see which part of the immune system has become “overactive” or “underactive.” By measuring the Th1 cytokines, IL (Interluekin)-2, IL-3, IL-12 and tumor necrosis factor alpha (TNFa), they can determine if you have too much natural killer and cytotoxic T-cell activity. By measuring the Th2 cytokines— IL-4, IL-5, IL-6, IL-10 and IL-13 —they can determine if you have too much B-cell activity. Once they have determined which pathway is dominant, they will prescribe immune-system-modulating compounds in an attempt to quiet the dominant pathway and boost the underactive pathway. If one part of the immune system is overacting, it makes sense to calm it down, right? Well, yes and no. As long as we don’t miss the forest for the trees! The question of why the Th1 or Th2 pathway is overactive must still be asked. For instance, let’s say you have become infected with a chronic bacterial infection, and your immune system is ramped up to fight it. Let’s say this goes on for years, as in the case of a stealth mycoplasma infection, and your Th1 response is on high alert but can’t kill the infection completely. While it’s trying to knock it out, it starts attacking healthy tissues. Doesn’t it make sense to find out what pathogen is driving the Th1 pathway to be on high alert and treat that first, or at least at the same time? Additionally, new studies show that defective T-regulator cell activity due to imbalances in the gut microbiota can lead to an over expression of both Th1 and Th2 pathways resulting in allergies and autoimmune responses. This research makes a clear connection between the health of your GI tract and your immune system! It’s important to note that not all experts agree with the Th1 vs. Th2 hypothesis. Some suggest that the human immune system rarely exhibits one dominant pathway over the other. In fact, most people with autoimmune disease will flip back and forth from one pathway to the other, depending on what’s “bugging” them at the time. Like many of my clients, I experienced symptoms from both sides of the table, and at the same time. For instance, I had Hashimoto’s, H. pylori, allergies, chronic sinusitis, viral infections, rashes (urticaria) and my lab tests and symptoms were suggesting lupus! Was I Th1 or Th2 dominant? Apparently, I was both! It appears that the autoimmune process is highly individualized, and a person can have symptoms that point to Th1 dominance, Th2 dominance, or both. Pharmaceutical and nutrition companies are scurrying to develop formulas that will modulate a particular pathway, but if they don’t address the underlying reason the immune system is on high alert, they won’t help many people prevent or reverse the condition. In conclusion, natural immune system modulators such as green tea, white willow, pycnogenol, reishi mushroom and echinacea may help many people feel better while they are healing, but they should not be used like pharmaceuticals to mask or suppress a natural response of the body to heal itself. A good practitioner will always start with removing pieces of the splinter. If she feels that calming the immune system at the same time will help you to feel better and heal faster, that’s great…just make sure she’s looking for the cause of the immune system flare at the same time! 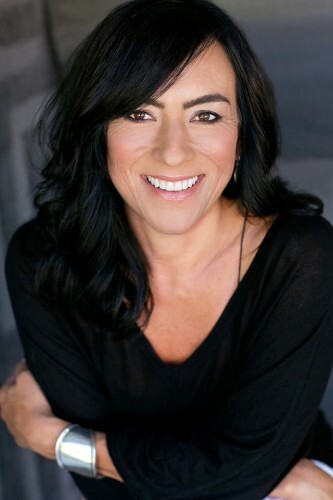 Michelle Corey is an Autoimmune Recovery Expert, Certified Nutrition and Wellness Consultant, health care advocate, researcher and author. Michelle studied holistic nutrition at Clayton College of Natural Health, and functional medical protocols at the Academy of Functional Medicine and Genomics. After completely reversing her autoimmune condition Michelle went on to help hundreds of people reverse autoimmunity and other chronic conditions. She is currently an advisor to the Academy of Functional Medicine and Genomics and the Functional Medical University, teaching doctors how to integrate Functional Medical protocols into their practices. She is also a member of the National Association of Healthcare Advocacy Consultants. Michelle works one-on-one with people who suffer from complex autoimmune and inflammatory conditions, and offers Functional Mind-Body healing retreats in beautiful Taos, New Mexico. 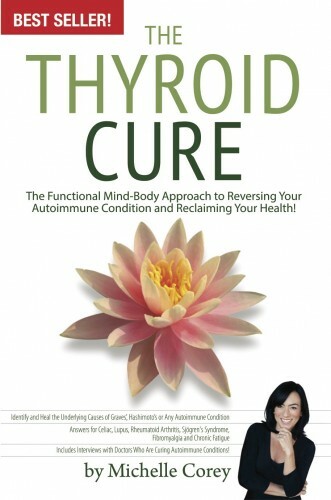 You can purchase The Thyroid Cure book, here. And, be sure to follow her on Facebook and Twitter. Questions or anything ask about Th1 or Th2 dominance? We want your thoughts in the comments section–Please!